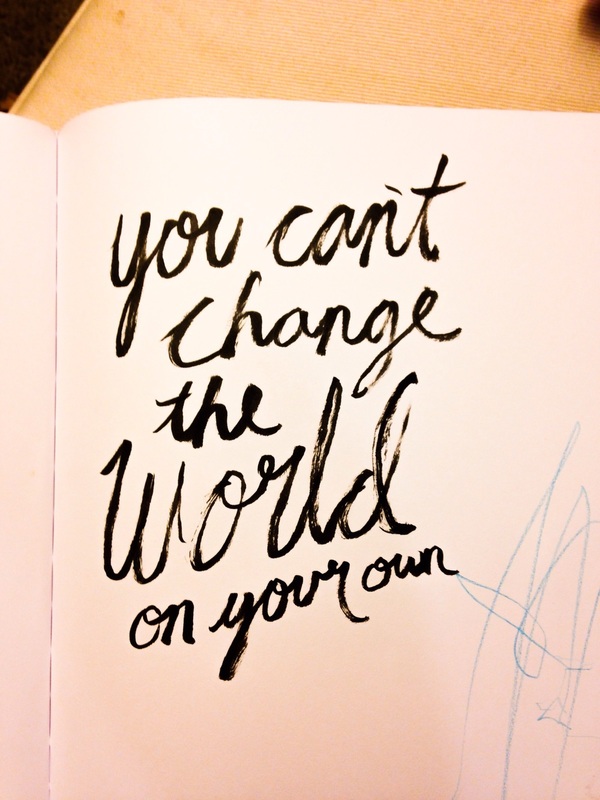 You can't change the world. I'm tired of impossible inspirational quotes. You can't change the world. But together we might be able to. Brush pen and the Juxtaposer app. Original below. That blue scribble is my Son's addition.